Big Island police have arrested and charged a former Pepeʻekeo man for an attempted burglary Monday morning (August 13) in Pepeʻekeo. At about 7:40 a.m. Monday, a Pepeʻekeo resident called police after observing a man attempting to force open a window at his neighbor’s house. The suspect fled the area after seeing that he was being watched. The owner of the house, a 60-year-old Pepeʻekeo man, verified that an attempt had been made to enter his home while he was away. 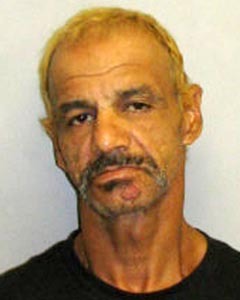 At about 12:20 p.m., police arrested 54-year-old Ralph Curtis Riveira, who has no permanent address, in the Pepeʻekeo area. He was held in the Hilo police cellblock while detectives from the Area I Criminal Investigations Section continued the investigation. At 1:30 p.m. Tuesday (August 14), after conferring with prosecutors, detectives charged Riveira with one count of attempted first-degree burglary. His bail was set at $25,000. He was scheduled to make his initial court appearance this afternoon.